The Group has on a consolidated basis failed to repay Rs 2,905.6 crore (Rs 29.05 billion) in principal amount to banks and another Rs 1,558.93 crore (Rs 15.58 billion) in interest payments. Reflecting substantial financial stress, diversified Jaypee Group companies have defaulted on loans and other payments worth Rs 4,460 crore (Rs 44.60 billion). "Overdue principal repayment of loans borrowings ... outstanding on March 31, 2016 wherein the period of delay ranges from 1 day to 269 days" include debt of Rs 2,183.17 crore (Rs 21.83 billion) on Jaiprakash Associates, Rs 688.48 crore (Rs 6.88 billion) on Jaiprakash Power Ventures and Rs 33.95 crore (Rs 339.5 million) on Jaypee Cement, as per latest disclosures. As far as overdue interest in borrowings is concerned, it includes Rs 837.45 crore (Rs 8.37 billion) dues on Jaiprakash Associates, Rs 152.18 crore (Rs 1.52 billion) on Jaiprakash Power Ventures and Rs 63.13 crore (Rs 631.3 billion) on Jaypee Cement Corporation, according to figures disclosed by Jaiprakash Associates to the exchanges. 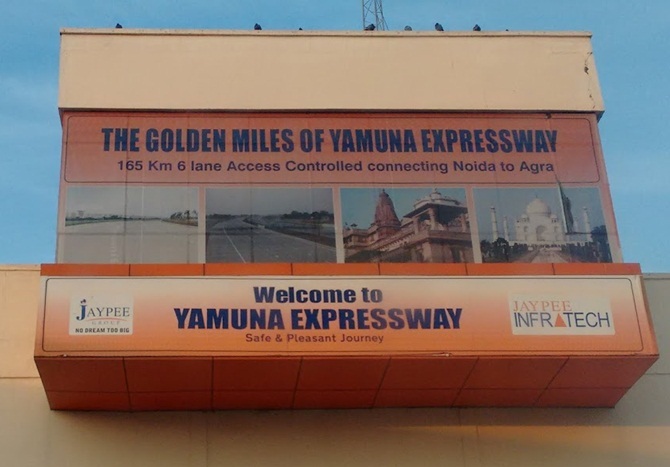 Besides overdue interest included Rs 193.08 crore (Rs 1.93 billion) on Jaypee Infratech, Rs 3.01 crore (Rs 30.1 million) on Jaypee Agra Vikas Ltd, Rs 308.66 crore on Prayagraj Power Generation Ltd, Rs 0.75 lakh on Madhya Pradesh Jaypee Minerals Ltd and Rs 0.67 lakh on Bhilai Jaypee Cement. Jaiprakash Associates, the group's flagship company, saw its net loss widen to Rs 3,345 crore (Rs 33.45 billion) in the last fiscal on a consolidated basis. In 2014-15, the same stood at Rs 1,735.10 crore (Rs 17.35 billion). Earlier this year, in one of the biggest deals in the domestic cement industry, debt-ridden Jaypee Group had announced part sale of its cement business to Kumar Mangalam Birla-led Ultratech for Rs 15,900 crore (Rs 159 billion). Post this deal, the capacity of Ultratech will rise to 91.1 MTPA, including its overseas operations, while that of JAL will come down to 10.6 MTPA spread over Madhya Pradesh, Uttar Pradesh, Andhra Pradesh and Karnataka. The group's firm, Jaiprakash Power, had earlier sold off its hydro power projects to JSW Energy for Rs 9,300 crore (Rs 93 billion) and Bina power project to JSW for Rs 3,500 crore (Rs 35 billion). Just how bad are the bad loans?